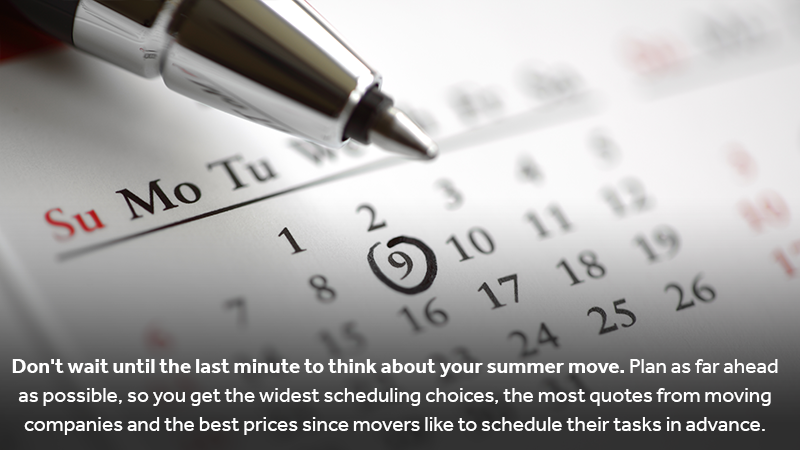 Don&apos;t wait until the last minute to think about your summer move. Plan as far ahead as possible, so you get the widest scheduling choices, the most quotes from moving companies and the best prices since movers like to schedule their jobs in advance. If you need to store items temporarily, booking the space in advance gives you the greatest flexibility. A minimum of six weeks is ideal. If you have a choice, move mid-week in the middle of the month and not during major summer holidays like the 4th of July or Memorial Day. Think about how high summer temperatures will affect what&apos;s inside a moving van, especially if they&apos;re going to remain there for several days. Food of any kind shouldn&apos;t be packed, and avoid spray cans and other pressurized containers that may explode. Plastic items like toys, document sleeves and other plastics used to wrap fragile goods may melt. Videos, CDs and other hard media may warp. Consider carrying such items yourself if you feel that you must bring them along. Don&apos;t wrap leather furniture in plastic since they may sweat. Use cloth pads instead. Don&apos;t forget to stay hydrated yourselves! In the excitement of the move, you may forget to take those all-important sips of water. Dress in lightweight, light-colored and comfortable clothes to beat the heat. Put on plenty of sunscreen to protect your skin and wear a hat and sunglasses, especially if you&apos;ll be outdoors in the sun. It&apos;s likely to be quite hot at the beginning and end of the move, so consider how you&apos;re going to cool things down. Will you have expensive air-conditioning running even though people will be opening doors constantly? What about turning on ceiling fans, which may pose hazards when tall objects are moved? Make sure that the electricity is shut off at your old home after you leave and turned on at your new house before you arrive. Think about the movers as well who may be enduring all that heat through a 14-hour day. Allow them to use your bathrooms and provide cold water or beverages to keep them hydrated. 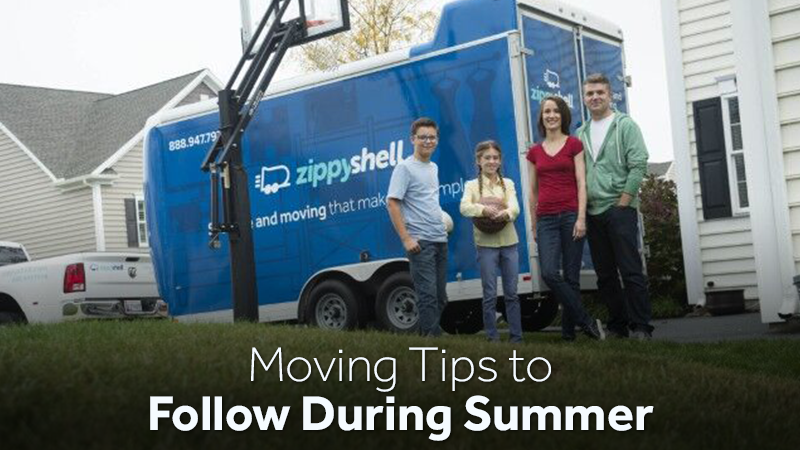 Whether you&apos;re moving during July or December, the expert movers at Zippy Shell Houston have you covered. Contact us today to learn more about our services or to plan your next move.